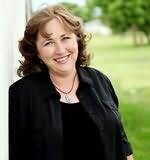 Serena Miller is the author of Love Finds You in Sugarcreek, Ohio, as well as numerous articles for periodicals such as Woman's World, Guideposts, Reader's Digest, Focus on the Family, Christian Woman, and more. She lives on a farm in southern Ohio. "A riveting tale of intrigue, courage, romance, and faith. I was hooked from the first page." "A lovely, sweet story that quickly pulled me into the culture of an ISCO's lumber camp...and made me want to stay."